Transforming your kitchen backsplash or bathroom without knocking the wall! these amazingly realistic looking decals are printed on high quality flat 0.3mm vinyl that looks like three-dimentional real tile. 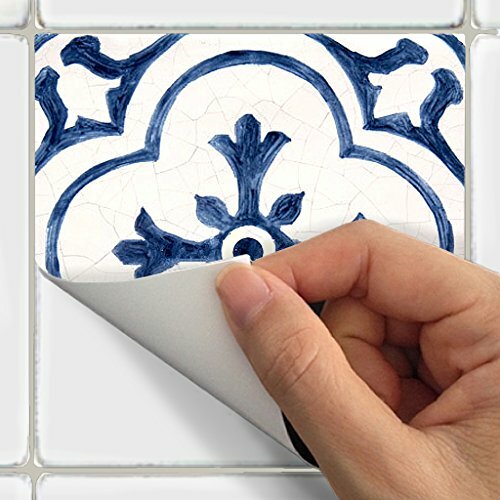 They are waterproof and suitable for kitchen backsplash, shower, outdoors, stair-risers instant diy by simply peel and stick. Decals are easily removed without leaving residues, perfect for rented homes. 100% opaque cover up for unsightly old tiles. Can be cut and trim to fit. If you have any questions about this product by SnazzyDecal, contact us by completing and submitting the form below. If you are looking for a specif part number, please include it with your message.